(17 Apr 2019) The Library Association of Singapore (LAS) invites submissions for abstracts in two categories – paper presentations and posters. Find more information on submission guidelines, suggested topics, and contacts from LAS announcement here. This entry was posted in Asia Pacific, Conferences and tagged call for papers, Library Association of Singapore on April 19, 2019 by admin. (18 Apr 2019) EIFL e-Library Myanmar project partner universities – University of Mandalay, Yadanabon University, Mandalay Technological University, University of Computer Studies, Mandalay, Yangon Technological University, and University of Computer Studies,Yangon – are to attend a three-day workshop on ‘Effective Training’. The workshop will strengthen librarians’ training and facilitation skills. Topics to be covered include the principles of adult learning, time management, engaging the audience, managing group behavior in a training session and training evaluation. During the workshop, participants will also learn how to develop and adapt the materials they are currently using for e-resource and/or Zotero bibliographic referencing training for specific audiences. The original post from EIFL is here. This entry was posted in Asia Pacific, Training and tagged EIFL, Myanmar on April 19, 2019 by admin. (18 Apr 2019) National Library of Australia requires a talented and innovative leader for its Overseas Collections and Metadata Management Branch. The role is responsible for a diverse mix of core Library programs, including the management of Library’s Asian, Pacific and overseas published collections, leadership of library standards and description practice and library management systems development and implementation projects. You will bring strong strategic leadership to the management of the Library’s Asian, Pacific and overseas collections, and will promote and represent the Library in a variety of forums, including to academic users, donors and international counterparts. You will deliver a vision for the development and implementation of forward-thinking integrated library management services and be prepared to lead a substantial technological change program across the collections management areas. You will have a highly developed ability to work strategically in a complex and dynamic organisation. Further information about the National Library of Australia, and this position can be obtained at www.nla.gov.au/jobs or by contacting Amelia McKenzie on 02 6262 1672 or via email amckenzie@nla.gov.au. Applications must address the selection criteria and be received via the Library’s online recruitment system by 11.30pm (AEST) Sunday, 05 May 2019. This entry was posted in Jobs and tagged Director, National Library of Australia on April 19, 2019 by admin. (17 Apr 2019) Library Carpentries and ORCID are co-hosting a webinar on What’s New at ORCID. Registration is free — just add your name here – and there will be plenty of opportunity for questions and discussion. This webinar, at 10am ET on Thursday, May 16, will focus on ORCID’s new API v3.0, launching in May, which includes some valuable new features for researchers, their organizations, and the wider community alike. Read more details from the original post of ORCID here. This entry was posted in Research Support and tagged ORCID, webinar on April 19, 2019 by admin. (18 Apr 2019) STM Tech Trends is created annually by STM’s Future Lab, a discussion forum of over 30 STM members. Based on the Delphi-method for technology forecasting, participants identify key trends that may impact scholarly and scientific publishing between now and 2023. More details and recording of the panel discussion at the STM US Conference in Washington, DC on April 12 can be found here. This entry was posted in Conferences, Open Access and tagged open science, STM Tech Trends, STM US Annual Conference on April 19, 2019 by admin. You will be part of a dynamic and cohesive team, leading a team of professionals to support SMU’s teaching, learning, research and community engagement initiatives. This is a leadership position to provide innovative vision to plan, develop, promote, implement and evaluate library services including: support for learning, research, faculty, student and broader community engagement in meeting the present and future needs of the Singapore Management University community collaboratively with both internal and external stakeholders. The appointee will contribute to the overall strategic direction and management of the Library, as well as developing and delivering strategy, planning, policy and services for the Library’s research, information, learning and teaching support. As a member of the Library Planning Team, contribute to the Library’s strategic planning, decision making and assessment initiatives. Deliver on initiatives in areas such as research support, faculty and student engagement, virtual services, culture of assessment and establish and enhance productive relationships across the academic community to ensure library provides pro-active, responsive and customer focused services in line with the strategic direction of SMU to meet the changing demands, needs and expectations of the university community. We are seeking an enthusiastic, innovative and experienced information professional to support learning, research and engagement at Singapore Management University through the delivery of a range of services designed to maximize the benefits of relevant scholarly information resources and services. Extensive experience in customer service activities, including service design and innovation, promotion and service evaluation especially in an online service context. Demonstrated ability to think strategically and conceptually and to communicate ideas clearly and persuasively to others. Highly developed communication, negotiation and interpersonal skills to ensure the achievement of desired business outcomes. Details about the position are available here. The original job posting is here. This entry was posted in Jobs and tagged Singapore Management University on April 19, 2019 by admin. (17 Apr 2019) The Couperin consortium, which represents 240 higher education and research institutes in France, has renewed its bundled journal subscription deal with Elsevier, the publisher. The consortium’s decision is noteworthy because other large European consortia recently have gone in the other direction. More details can be found from the original news here. This entry was posted in Publishers and tagged Elsevier, France on April 18, 2019 by admin. (16 Apr 2019) The International Federation of Library Associations and Institutions (IFLA) and the New Zealand National Committee announce that the IFLA World Library and Information Congress (WLIC) in Auckland will now take place in 13-19 August, 2022. This postponement will enable the WLIC to be held as planned in the New Zealand International Convention Centre (NZICC). IFLA WLIC has a long established practice of being held in single-site convention centres. As the NZICC faced construction delays and no other single-site venue providing the same outstanding facilities was available for 2020 in Auckland, the decision was made to postpone the event. Through this postponement, IFLA and the New Zealand National Committee will ensure that delegates from around the world have the best congress experience when WLIC is held in New Zealand for the first time. IFLA looks forward to coming to New Zealand in 2022, and will share information about plans for a new host city for the 2020 WLIC in August 2019. See the press release from IFLA here. This entry was posted in Asia Pacific, Conferences and tagged IFLA WLIC, New Zealand on April 17, 2019 by admin. (15 Apr 2019) Yewno, Inc., a leading provider of artificial intelligence-driven knowledge discovery solutions, today announces that they have entered into an agreement with Jisc Collections to offer the Yewno Discover research platform to UK higher education institutions at a discounted rate. Jisc Collections works on behalf of the UK higher education sector to negotiate and license high-quality digital content that meets the requirements of institutions to support academic research, teaching and learning. They represent the interests of all UK higher education institutions by negotiating the best possible price, terms, and access conditions for licensed digital content, supporting the transition to open access, and sharing knowledge about e-resource acquisition and research. Yewno Discover is a research and educational tool that harnesses the power of artificial intelligence to make research intuitive, efficient and fun while supporting its users with high-quality resources. Yewno accomplishes this by ingesting and reading full text digital content which is stored in their database containing millions of scholarly books, articles, and data points. Users access this content by searching concepts in a visual knowledge graph that allows them to navigate as deeply as they’d like into a given subject and explore related ideas along the way. It is a highly effective method for discovering resources that might have otherwise been overlooked, and ensures comprehensive and credible coverage on any topic. “Today’s students work in an environment that is almost completely digital, with staggering amounts of information available at their fingertips. Yewno Discover provides easy access to the scholarly content students and researchers need, across every academic discipline and level. Our partnership with Yewno will offer them huge opportunities to unlock knowledge and answer new research questions,” says Keith Cole, Executive Director, Digital Resources, Jisc. “We are honored that Jisc has chosen to partner with Yewno to provide our cutting-edge technology to the UK education market. Our goals are similar; we seek to provide quality digital content to students and researchers, and to make that content easily accessible,” adds Yewno Co-Founder and Chief BD & Strategy Officer, Ruth Pickering. Read the press release from Library Technology Guide here. This entry was posted in Publishers and tagged Jisc, Yewno Discover on April 16, 2019 by admin. (11 Apr 2019) Skillsoft, a global leader in corporate learning, and MIT xPRO, an affiliate of the Massachusetts Institute of Technology (MIT) and a leading provider of online learning courses for technology and business professionals, today announced that they have entered a licensing agreement. Beginning spring 2019, Skillsoft customers will be able to access MIT xPRO content on Percipio, Skillsoft’s learning experience platform, as well as third-party learning management systems via Skillsoft’s Percipio Experience Services. This entry was posted in Publishers and tagged MIT xPRO, online learning, Skillsoft on April 16, 2019 by admin. (11 Apr 2019) The Association of College and Research Libraries (ACRL) and Gale, a Cengage company, have collaborated to create the ACRL Libraries Transform Toolkit. This free new toolkit provides academic and research libraries with easy-to-use tools and resources to develop effective marketing and outreach strategies to promote their services and impact to students, faculty and administrators. The toolkit extends the American Library Association’s (ALA) Libraries Transform Campaign, that’s designed to increase public awareness of the value, impact and services provided by libraries and library professionals. This entry was posted in Libraries, Tools and tagged ACRL, Cengage, marketing on April 15, 2019 by admin. (11 Apr 2019) With the revised Immigration Control and Refugee Recognition Law having come into effect on April 1, libraries as local cultural bases for foreign residents are being promoted to encourage them to learn Japanese. As of January this year, Tokyo had about 550,000 foreign residents, or about 20 percent of all foreigners living in the entire country. It has been pointed out that the concentration of foreigners in Tokyo, where salaries are generally higher than in rural areas, will accelerate with the revised law permitting more foreign workers coming into effect. In response, libraries in Tokyo are improving their services for foreigners. Read more from the Japan News here. This entry was posted in Asia Pacific, Libraries and tagged Japan, language learning on April 15, 2019 by admin. (12 Apr 2019) Join IFLA Satellite Meeting in Rome 21-22 August 2019 when we will explore The evolving concept of ‘library’ and its impact on library design! This topic will form the basis of our exciting and very practical program. We have adopted a multi-pronged approach with a combination of exciting keynote speakers, panel sessions that highlight the work of practitioners from around the world and a workshop session on library design that welcomes all. Delegates will have the opportunity to consider solutions for truly inclusive libraries with their professional colleagues and to share and learn from others’ experiences. The Satellite is being co-hosted by four IFLA Sections: Academic and Research Libraries; Library Buildings and Equipment; Metropolitan Libraries; and Public Libraries; and will be held in the magnificent Sala della Protomoteca on Rome’s Capitoline Hill. So join us in Rome for our Satellite meeting before you head to Athens for the IFLA World Library and Information Congress. Registrations are now open with a special Earlybird rate offered until 15 May. We look forward to meeting you in Italy. In the interim if you have any questions please contact us. 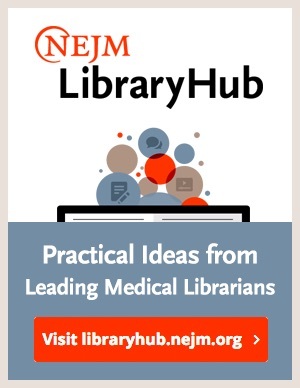 This entry was posted in Conferences and tagged IFLA, library design on April 15, 2019 by admin.